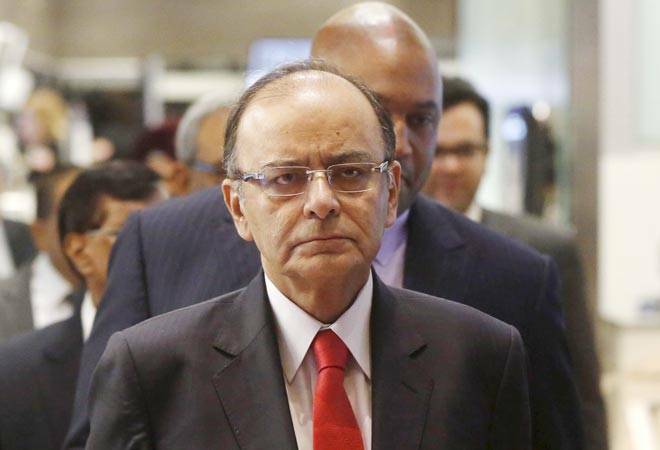 Finance Minister Arun Jaitley will meet heads of PSU banks on Monday to discuss various issues, including bad loans and interest rate reduction, in light of RBI lowering its policy rate in September. The performance review meeting of public sector banks(PSBs) will also take stock of the credit flow to productive sectors to spur economy and review of 'Indradhanush', the seven-pronged strategy to revive PSBs, sources said. The government in August announced the programme, which includes Rs 70,000 crore capital infusion in PSBs in four years, starting with Rs 25,000 crore this fiscal, and measures to de-stress banks by introducing governance reforms. The gross NPAs of PSBs rose to 6.03 per cent at the end of June 2015, as against 5.20 per cent in March 2015. According to the sources, the meeting is expected to review credit offtake by sectors such as home, education and corporates as well as the progress made under the Jan Dhan Yojana and Prime Minister's social security schemes, among other issues. The meeting will also examine what steps have been taken by state-owned banks in the aftermath of Rs 6,100-crore Bank of Baroda black money remittance case to avoid such episodes in future. Jaitley is expected to review the interest rate cut by banks following reduction in the key policy rate by RBI in September. RBI in its September bi-monthly monetary policy review had cut interest rate by a higher-than-expected 0.5 per cent. The benchmark repurchase (repo) rate has subsequently come down from 7.25 per cent to 6.75 per cent, the lowest in four-and-a-half years. The progress of three social security schemes, namely Pradhan Mantri Jeevan Jyoti Bima Yojana (PMJJBY), Pradhan Mantri Suraksha Bima Yojana (PMSBY) and Atal Pension Yojana (APY), and the Micro Units Development & Refinance Agency (MUDRA), among others, is also likely to feature in the discussions.